João Silva Leite born in Lisbon, Portugal, in 1981. João is graduated, in 2005, in architecture and urban planning at the Faculty of Architecture of the University of Lisbon, where in 2012 completed a master thesis in Urban Design with the theme "Commercial Road. Morphological Interpretation of a new urban element at Lisbon Metropolitan Area”, recently awarded in the IX BIAU (Architecture and Urbanism Iberoamerican Biennale) as the best master thesis in urbanism. Since 2008 is integrated on the research group FormaUrbis Lab at the Faculty of Architecture of University of Lisbon, which works several lines of research related to urban morphology. The most ambitious objective of this research group is to set up a detailed database of the different urban elements of the Portuguese City. This database or framework could be interpreted has a unique source of material for conducting and extending research on urban morphology topics. 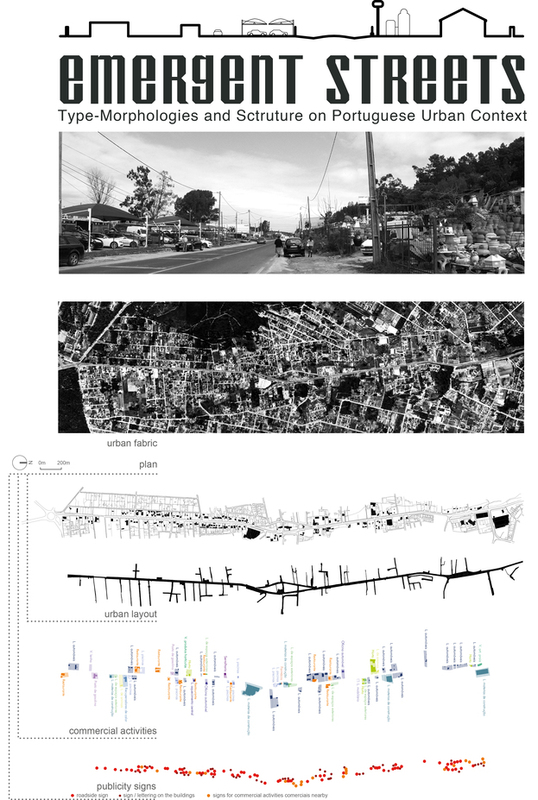 In parallel Joao is a PhD student in the 4th year of the PhD Program in Urbanism at the Faculty of Architecture of the University of Lisbon developing the thesis with the theme "Emergent Streets. Type-Morphologies and Structure on Portuguese Urban Context”, with a scholarship funded by Portuguese Foundation for Science and Technology, since 2011 and from 2015 by AUSMIP Plus Program to be developed in Japan, Tokyo. This personal investigation is an extension of the master that allowed to contact with the emergence of a set of linear urban elements that assume as decisive in the organization and structuring of contemporary urban fabric. At the same time improves the knowledge about one of these types of elements such as the Commercial Road, testing the methodology for using similar cases at the actually research. The PhD research tries to achieve a type-morphological study in some urban linear elements of uncertain classification, but because of the formal and functional characteristics may be interpreted as emerging types of streets. The study has the goal to simplify the reading of this objects and to build a typological framework that will contribute both as an instrument of interpretation of the built urban form and on the other hand, to the question of the production of the contemporary urban fabric. In this sense the Japan experience, especially inside Urban Design Lab in Tokyo University, will extend the geographic scope of the work, deepening the theme and creating the possibility of get in touch with some examples which take, on the Asian context, greater intensity and dimension. The period of stay in Tokyo will be fundamental for the construction of a theoretical framework, and also to study and collect important information on some types of objects where the traditional concept of the street was extrapolated to other level and which are not possible to find in Portuguese or European urban context.